Battlestate Games has unveiled the details on the up and coming big update 0.11 for the closed beta version of its multiplayer online first-person shooter Escape from Tarkov. 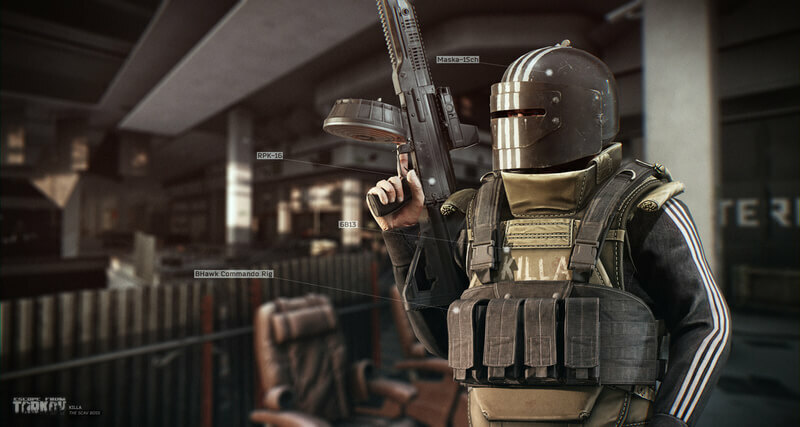 This update adds new location called Terragroup Labs, which is a secret facility beneath the centre of Tarkov, a new Scav boss 'Killa', a new type of consumable items called Stimulators which temporarily improve character skills, but simultaneously have negative effects on the character's health, new gear and considerably more new stuff and fixes. “As this location (TerraGroup Labs) is considered to be closed, it has special types of extractions. New mechanics imply the need to meet certain conditions for the activation of the extraction. It is possible to activate extractions more covertly, discreetly, thereby reducing the chances of detection by Raiders, or loud, what will lead to activation of Laboratory announcement systems and will attract Raiders to the source of noise. Killa has good equipment, wearing heavy armor and hand-customized helmet. He is a very dangerous enemy. Killa uses light machine gun or other automatic weapon to suppress the enemy, while lurking from cover to cover, getting closer to his target for the final push. During the assault he moves in zig-zag manner, uses grenades, suppresses few enemies with the fire of his weapon, plants smoke cover on one enemy while attacking the other. Well, it’s going to be a tough fight to get him killed. By the way, he consideres PMC’s and Scavs as his enemies. Battlestate Games has also provided some details on the next year update, such as the game is getting new game mechanics, like offraid healing, the system of customization of character's clothing, VOIP. Battlestate Games plans to add a Hideout, new locations, weapons and items, further more plan to continue further optimization of graphics and netcode component.